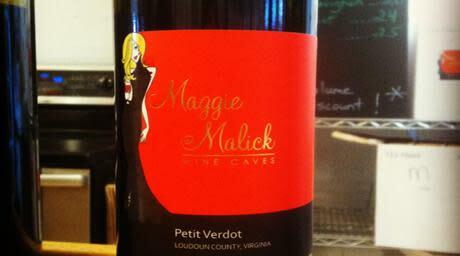 Maggie Malick Wine Caves is a female-owned winery. 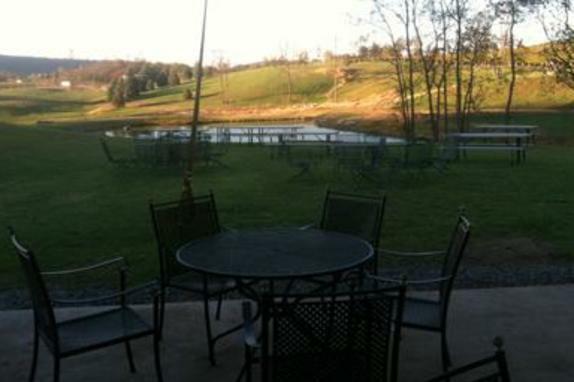 Maggie's enchanting Wine Cave is located on a beautiful 215 acre estate with rolling hills and four ponds. 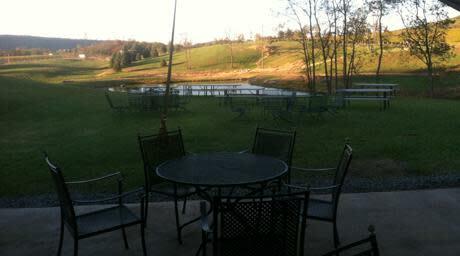 There are breathtaking views of the 1,400 foot tall Short Hill Mountain range, the Blue Ridge Mountains, and the vineyards. The 30 acres of planted vines include 15 different varietals. All of her wines are estate produced, meaning that she grows her own grapes in the vineyard and makes them into wine at her winery. 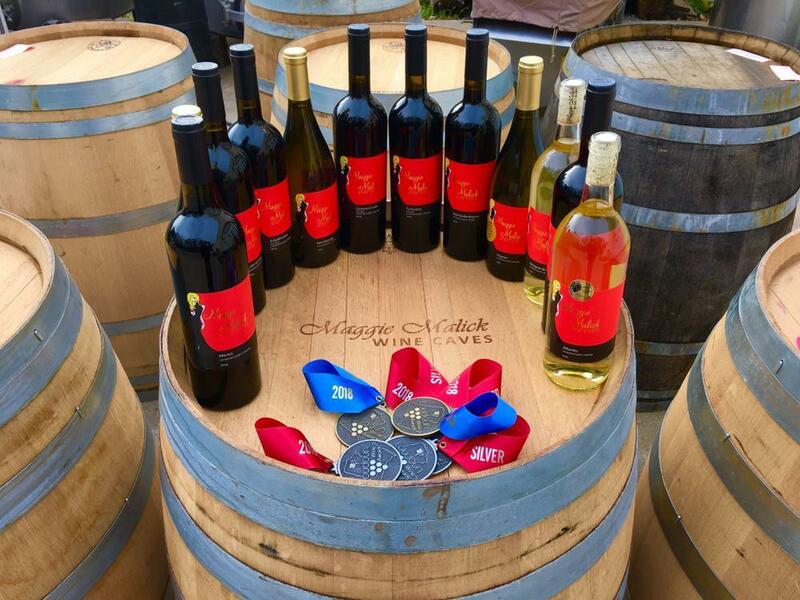 Maggie produces the highest quality grapes for herself and other award winning wineries. 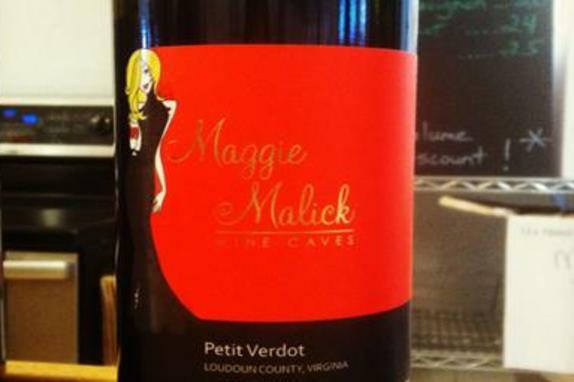 Maggie's Wine Cave is a man-made cut and cover type of cave. The cave was constructed by excavating a hillside then constructing a frame with I-beams, rebar, and concrete. After waterproofing the concrete the cave was finally covered with 4 feet of earth and grass is growing on the roof. This helps the cave maintain a more constant temperature and reduce energy costs. 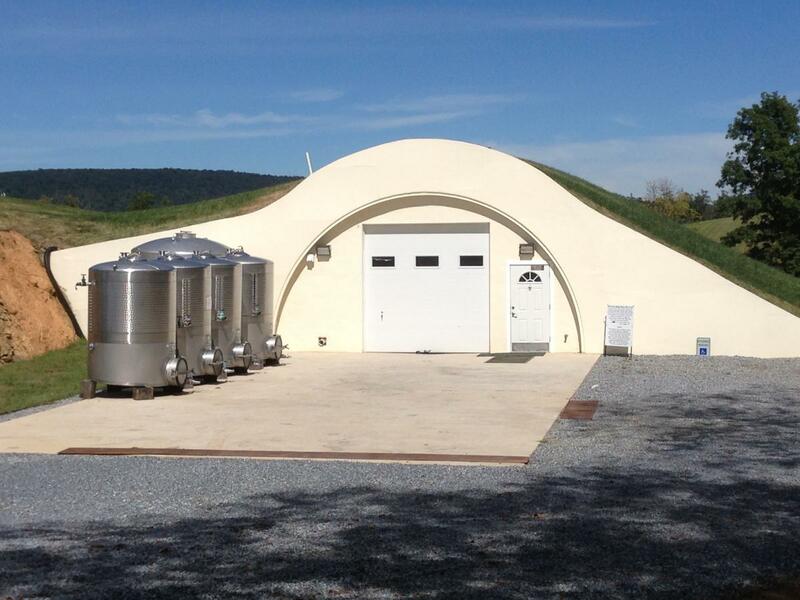 The Wine Cave has a lower carbon foot print than a traditional above ground winery. 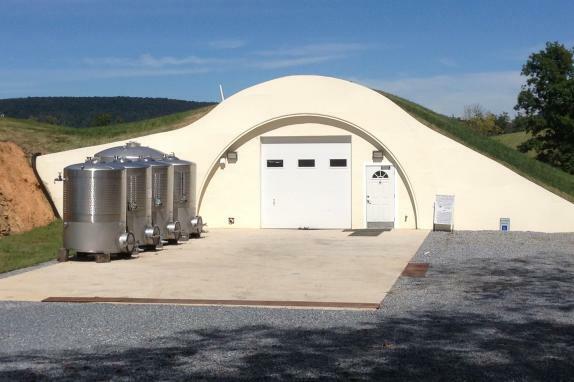 The Wine Cave serves as both the tasting room and the production facility. We offer irresistible gourmet cheeses and other snacks to compliment our wine selection. The tranquil relaxed patio and wine garden area has 20 picnic tables and numerous tables and chairs for you to enjoy your afternoon with a picnic and our sumptuous wines. 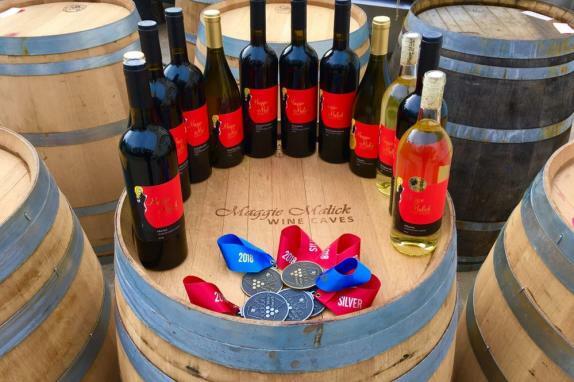 Maggie Malick Wine Caves is a destination winery.